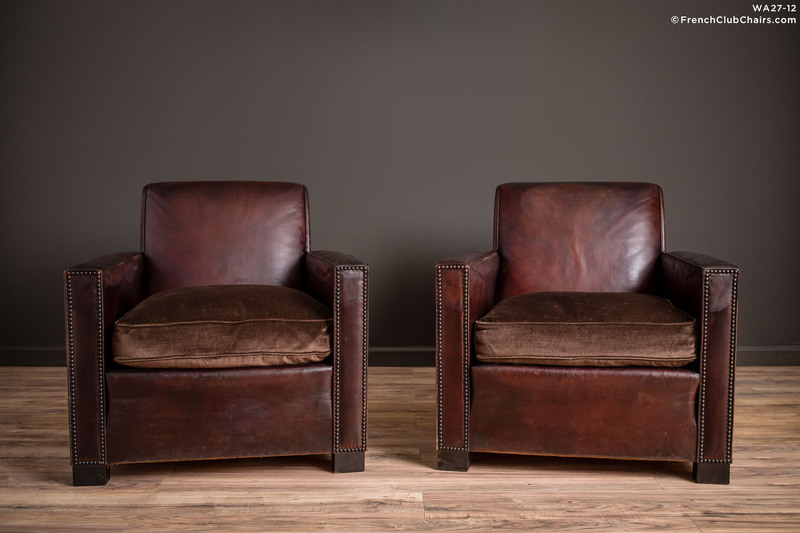 Stunning, clean lines and a deep comfortable seat give this pair of squareback French leather club chairs the gravitas to carry any room. All original leather with velevt cushions Circa 1940s. measurements: depth-36", width-31", height-31", seat depth-22", seat width-22", seat height-16"